The twins loved going to the big mall where the brightly colored steer statues were. They would beg their parents to place them on top so they could pretend to ride a bull; an act they saw when their parents took them to the rodeo. Curiously, a little boy walked over to the statues where the two girls were sitting. Thank you to S. Writings for our photo prompt this week. 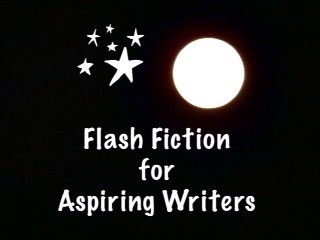 This is my story for the challenge, Flash Fiction for Aspiring Writers. We are given a photo prompt and approximately 75-175 words with which we create our stories. Everyone is invited to participate. For more information, click here. ← Moral Monday – Love Does What? What a cute story! I really liked it. Now that is a really cute story. LOL! Yes, he probably will. Right now he isn’t old enough to know the difference between a cow and horse! Hahaha! How devious 😉 Parents must have an early eye for match making. LOL!! She is just kidding the girls. It’s a joke. So cute. They just need one more Cowboys. Hopefully, thos Cowboys learn the difference between a horse and a steer lol. Great write! Hahaha! Yes, very true! He’s much too young to know. LOL! Sure! That would be great! Maybe he does have a twin! (That would be cute). But for now, they all need to grow up. LOL!! Yes, a little bitty cowboy. LOL!! I like it Joy, lovely job….though a cowboy who can’t tell the difference is a worry. Yes, indeed! He is a bit too young right now but he’s on the road to becoming a cowboy! LOL! Since they are so young, it will be a long wait! LOL! No part 2. Thanks Maria! I hope I didn’t offend you. It’s a good idea to do a follow up to the girls and little boy. Let’s see how the prompts are and if there is a chance for me to write a follow up, I will! (For you). Hahaha! That is very true! Just a bit early, but they are looking! LOL!! Loved this cute story of two little girls and a little boy. Charming! Yes, that is true! Fate has a way! The image of the kids climbing on the statues just had me smiling. Wherever my family goes, my sons are always climbing on something. These days, their favorite is the big red balls outside Target stores! Such a cute story! How cute! Your sons climbing on things – the big red balls at Target! Thank you so much for your kind comment! LOL! She is! Thank you so much Vanessa! 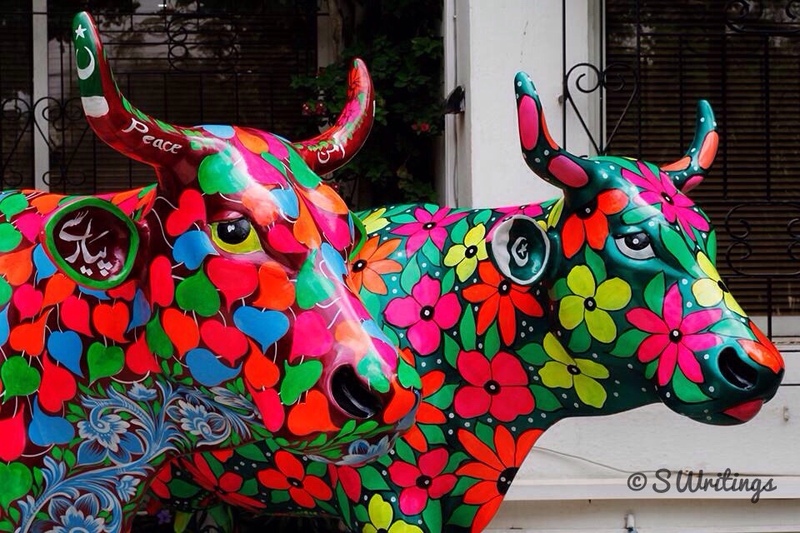 I love that the two painted bulls would be a part of their destiny! A wonderful read, Joy! Yes, that would be pretty cool if it were to really happen!! Thank you so much, Carol! Nice little story. Enjoyed it. Hahaha! Me too! I hate to see him out horseback riding on a steer! LOL! Thank you so much Ellespeth! LOL! Maybe subconsciously that is why I used twin girls. Twin cows! Haha! I’m glad you liked it! Lovely tale about the thoughts of children! !